It’s been a few days since Astray was released, and I’m very relieved now that the release day is over. I celebrated in the best of ways by baking cupcakes (the chocolate ones turned out to be the most delicious, obviously), and doing a bit of editing for my current WIP—Astray‘s sequel. I’m a little bit sad about being done with Astray, but the series still has a long way to go and now I can fully focus on part two and try to make it as good as possible. I’m having just as much fun with this book as I did with the first one. Astray has been getting some wonderful reviews, which I’m thrilled about. For example, it has been reviewed by Boy Meets Boy Reviews and Bayou Book Junkie. You can also read a bunch of reviews at Goodreads. Astray‘s release is just one month away. Because of that, I’d like to share a short excerpt from the book with you today. In this scene, Nick has been part of Captain Hart’s crew for just a few days. He is still struggling to find his place, and trying to understand what the Captain wants from him. When supper is over and the sun has begun to set, Hill asks Nick to bring a message to Hart. Nick thinks of this as he waits outside the Captain’s cabin. “Yes?” Hart calls from the opposite side of the door. Hart stands and walks over to the bed to get something. The bed-hangings obscure the view but then Hart pulls out a dark bundle of fabric—his coat. He strides to the window and places the coat on the low leather bench. Comes back to the bed to rummage through a chest underneath it. “I tore it on a nail earlier. I had meant to mend it tonight but I don’t think I can find the time.” He finds what he has been searching for—a needle and thread. Nick is reminded of Hart telling him off for idling earlier. The pad of his thumb is still tender from working on the sails. At least this time the cloth isn’t as hard to work with as canvas. Nick sits. The bench is upholstered—a comfort he isn’t used to. He runs the fabric of the coat between his fingers. It is wool, pitch black and lined with some fine, thin material Nick does not know. Cotton? His fingertips find the tear quickly—a sliver of lining bursting through on the left side, right beneath the pocket. He works, the same way he used to in the winters when his mother’s hands were dull from ache and he and Jamie split such chores between them. The coat’s embroideries mock him with their silver threads, their shine and fancy. Like taunting voices from inside a world he can never enter. Hart takes no more notice of him. He sits with his back turned and neck bowed down, focused on his work. Occasionally he lifts the quill or turns a page. The faint light makes his shirt appear whiter and his hair almost black, where it rests against his collar. If he’s in a foul mood or not, Nick can’t tell, but it’s a relief when he’s done with his task, the tear made undone with a net of stitches. Hart comes over. Takes the coat from Nick, examines it. He frowns, and Nick braces himself for a scolding. Nick does as he is told. But he hesitates at the door and turns to glance at Hart again. The Captain is holding the coat in front of him still. Like he is searching for holes or broken seams. Or like he’s deep lost in thoughts. I’m really, really happy with it. The model is perfect, and everything about the cover just captures the story so well. Astray‘s release is getting closer, and with it comes a lot of emotions. Most of them positive, of course – I’m beyond thrilled about finishing this book and being able to focus on the sequel. But there’s also a bit of anxiety, that I suppose is inevitable when you’re about to share something you created. As some of you might have noticed, I call myself a m/m fiction writer in my blog header. On my About page, I write that I write m/m fiction but with a touch of romance. This isn’t because I don’t want to be associated with the romance genre – on the contrary. I have so much respect for the genre and for romance writers, and I’m well aware that the genre has its rules. Rules that writers are expected to follow. There are so many writers out there who can write beautiful, heartwarming stories that are excellent examples of romantic fiction. I’ve never been a feelgood person. I don’t know how many times I’ve tried to write children’s fiction, only to realize after a while that my plots are much too dark and that they’d make kids traumatized for life. I don’t know why, but my favorite characters have always been villains and my storylines tend to have at least a few dark elements. That said, romance is the core of all my stories. You might have to wait for the happy ending, and things might be quite awful for the MC on the way there, but there will be a happy ending. I adore my main pairings above everything else and I wouldn’t have it any other way. I don’t know what I want to say with this, really, but the thing is that I just don’t want to disappoint anyone. I know my kind of stories aren’t everyone’s cup of tea, and that’s fine. It’s just frustrating, as a writer, to know that you can’t please everyone. Basically (and this might be a bit spoiler-y): Astray is the first part of a trilogy. It’s 1/3 of the story. And when I say that my MC’s will get a HEA, I mean it. That might not happen in the first book, though. Just thought I should let you know. 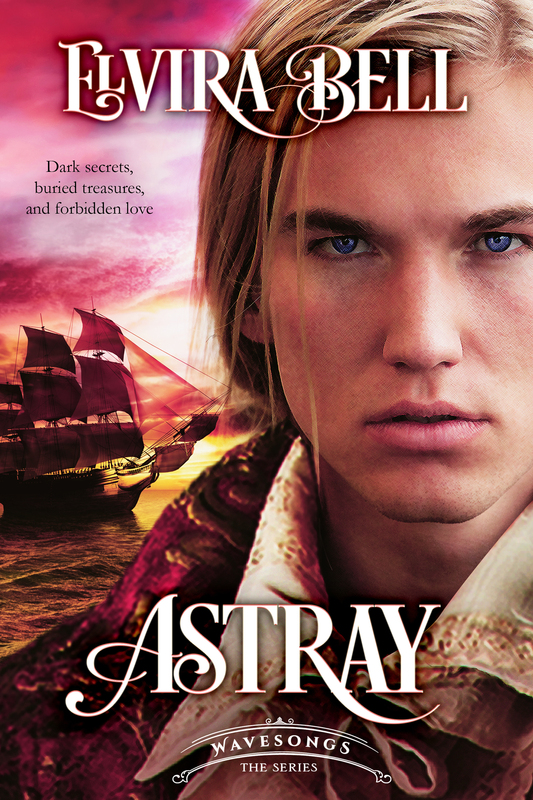 Finally, Astray is up for pre-order on Amazon! Get it here. The release date is May 1, and if you pre-order now you’ll get it as soon as it is released. The price for the Kindle edition is $4.99. Soon I’ll be able to share the beautiful cover with you as well. Can’t wait!